Above: Christine’s handmade products use the slow process of extracting natural dyes from berries, barks, flowers and vegetables. The velvet here will be made into her Signature Cushions. 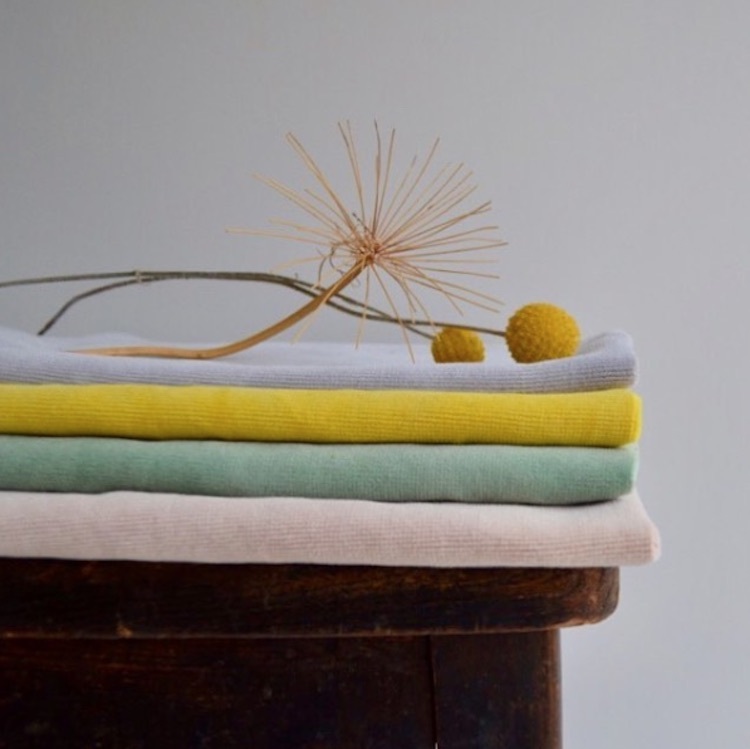 On the 8th day of Christmas, my true love gave me the gift of the garden through Christine Lewis’ naturally dyed homeware products and pressed botanicals. 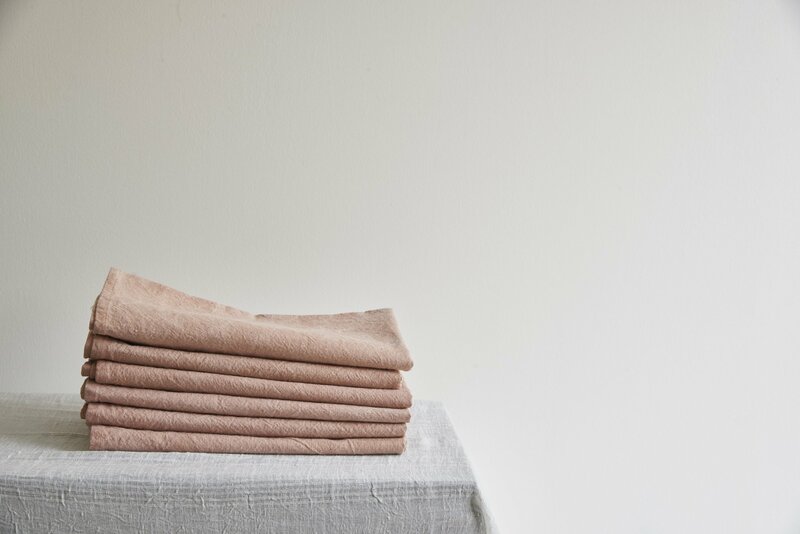 Self taught botanical dyer and maker, Christine Lewis became interested in natural dyeing after reading an interview with artist and educator Sasha Duerr about Permacoutre: Where Slow Food Meets Slow Fashion. “How could something so beautiful come from kitchen waste and garden plants? Armed with some old pots and pans, a camping stove and a bunch of carrot tops, I created my first dye pot,” she says. Christine does all her dyeing, drying and making in a studio she built in her garden where her dye materials grow. 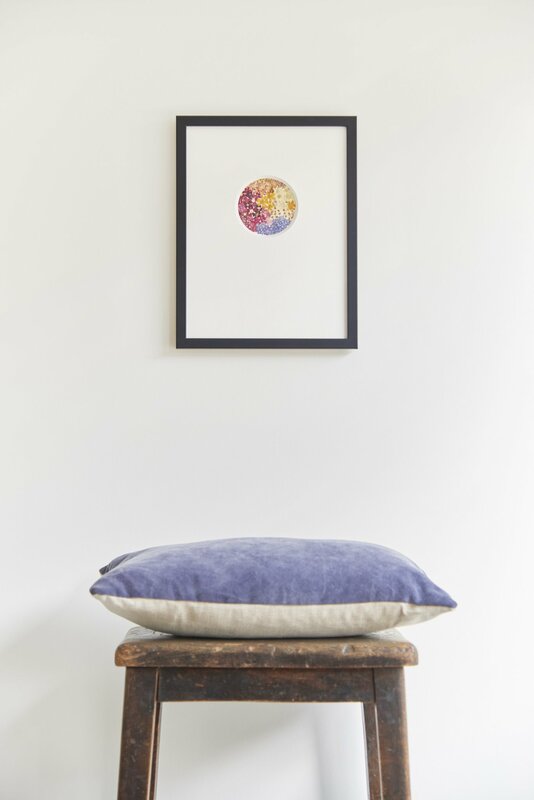 What started as a hobby in 2012 became her obsession, and as of last week she launched Christine Lewis Studio after finishing her job of seventeen years. We salute and admire her Fabster spirit! Above: Christine also captures nature’s fleeting beauty from her garden with Pressed Botanicals that are framed into prints. Above: The dye for the Avacado Hemp Napkins is slowly extracted from avocado pits that would have otherwise been discarded as kitchen waste. 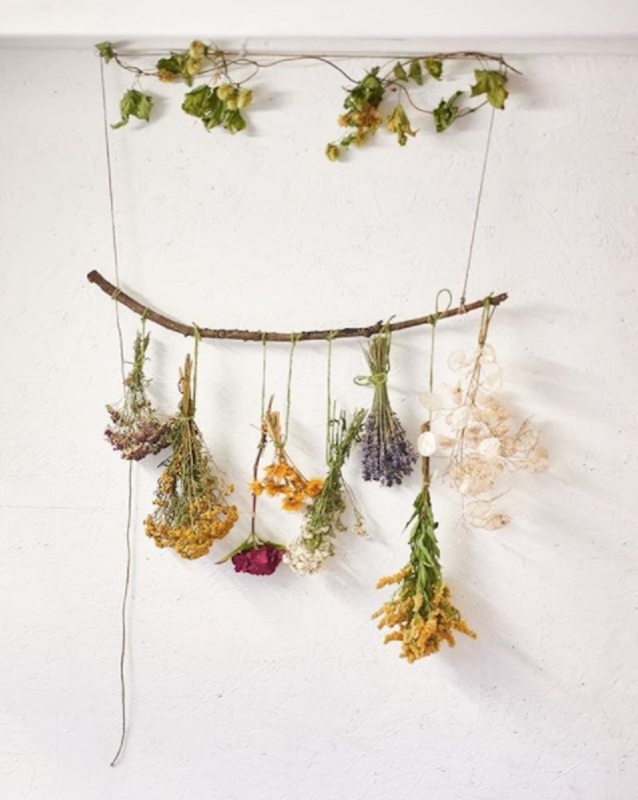 Above: Dried garden flowers hang from branches in Christine’s studio.